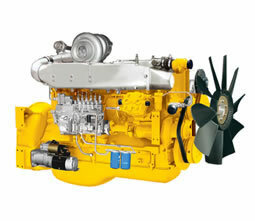 If you are looking for high quality diesel engine, we are your good choice. YTO is a professional ISO9001:2008 diesel engine manufacturer in China. Our diesel engines are available in more then 60 types. They are specially designed for tractor and construction machinery. We can provide more than 30 kinds of diesels for tractor. These diesel engines are applicable to large or medium wheeled tractor, crawler tractor and harvesting machines whose power is 30ps~220ps. The air intake mode includes naturally aspirated, supercharged and supercharged inter-cooling. Our diesel for tractor usually uses mechanical control mode or electric control mode. Our diesels for construction machinery are available in more than 30 basic types. They can be used in excavating machinery, loader, bulldozer, road roller, fork truck, paver, motor grader, and crane, etc. Their air intake mode can be normally aspirated or supercharged. Their displacement varies from 2.2L to 7.97L. We have more than 50 years of experience in producing diesel engine, construction machinery and agricultural machinery, etc. Our diesel, combine harvester, road roller, dump truck, earthmover, forklift truck and other products are now successfully sold to many countries in America, Asia, Australia, Africa and more.